Great for storing shoes and other items! 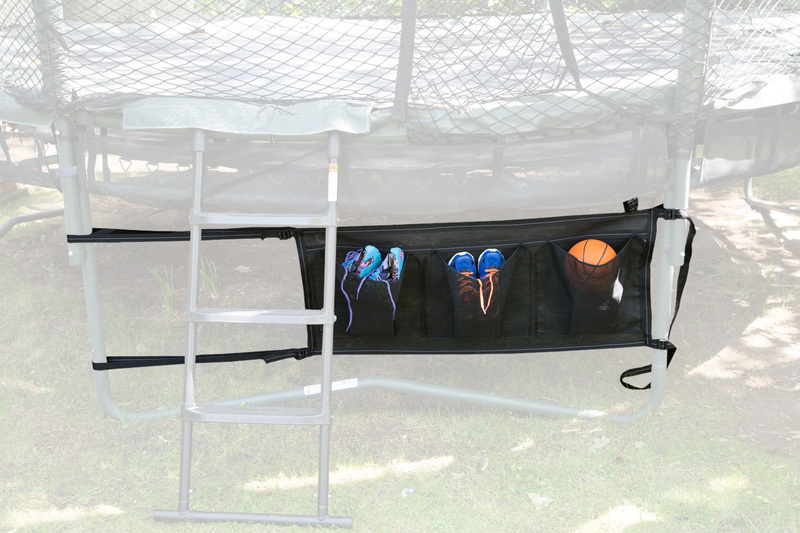 Heavy-Duty straps to attach to the side of your trampoline! Compatible with all Round JumpSport® and AlleyOop Sports® trampolines. 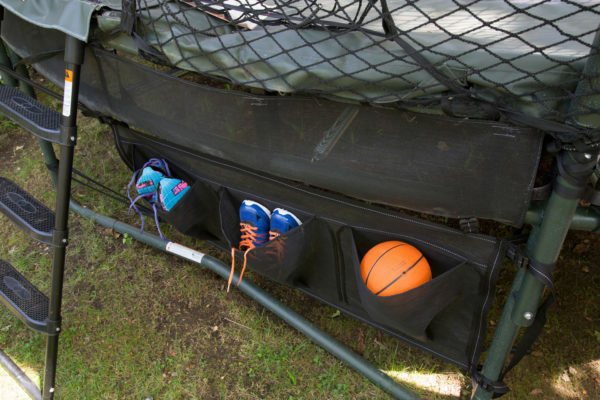 Perfect way to store your shoes and items before getting on the trampoline!